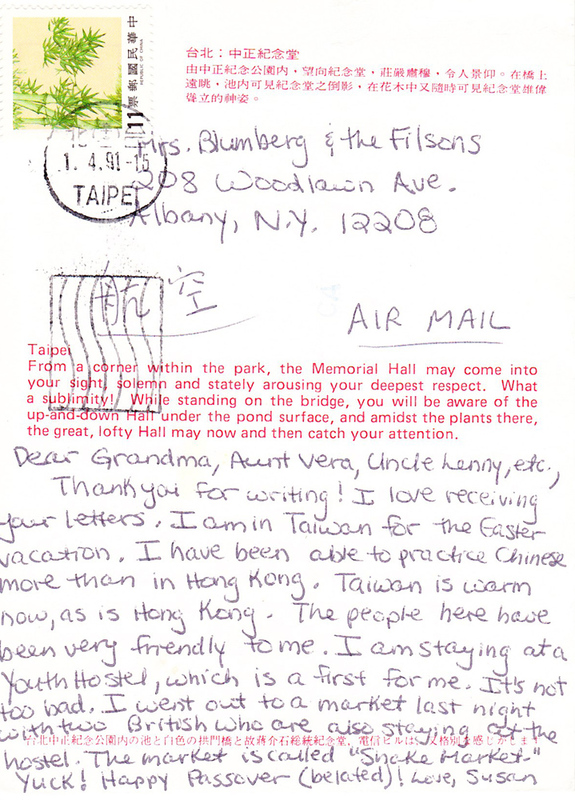 I wrote this postcard to my dad’s mother in 1991 when I went to Taipei for spring break. From a corner within the park, the Memorial Hall may come into your sight, solemn and stately arousing your deepest respect. What a sublimity! While standing on the bridge, you will be aware of the up-and-down Hall under the pond surface, and amidst the plants there, the great, lofty Hall may now and then catch your attention. 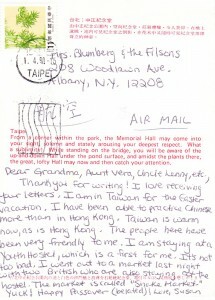 As I wrote in the postcard, this trip marked my first time staying at a youth hostel (although by then I had already stayed in university dormitories up and down the coast of China). I was so depressed at the hostel that I fled to the Lai Lai Sheraton during the day to sit in the lobby, write postcards, and pretend I was a guest there. Nonetheless, I enjoyed Taiwan because it provided me with a place to practice Mandarin. 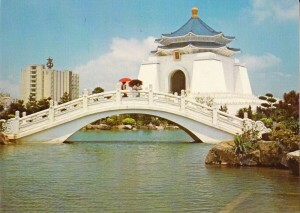 In an earlier posting, I included a postcard my mom’s parents sent from Taiwan. 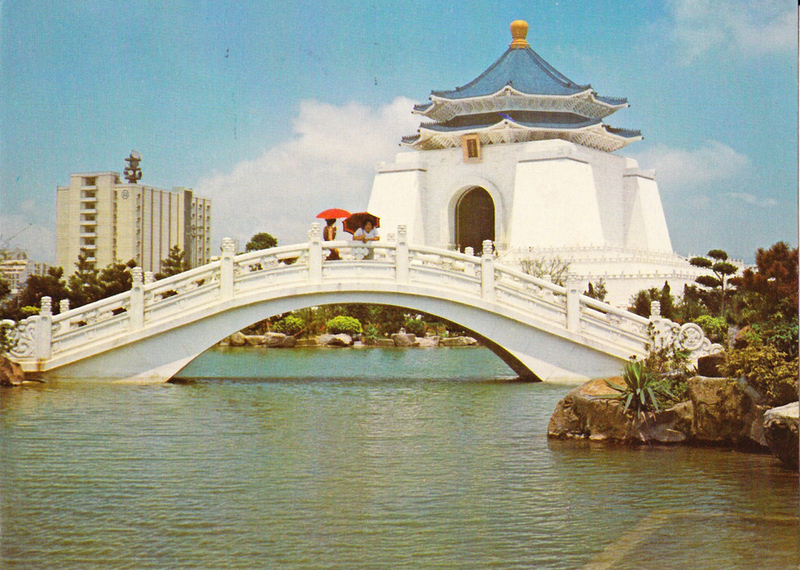 Back in 1965 when they visited the island, Taiwan was still under martial law. And most developing countries recognized it as the legitimate ruling government of China (free China, as my grandma wrote). In 1991, though, President Lee Teng-hui enacted democratic reforms, dissolving the old guard in the legislature. But by then most countries had switched allegiances to the People’s Republic. Three years later, I would begin graduate school, learning from Taiwanese professors in Hong Kong. Some were actively involved in the historic 1996 democratic elections in Taiwan. Most of those professors left Hong Kong after the handover in 1997 and are back in Taiwan now.